In case you missed the Twitter post from Globe about how to activate your Globe nano sim on your iPhone 5, you can use this post as your reference on activating your Globe nano sim on iPhone 5. 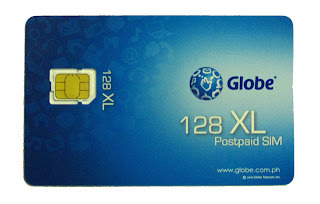 Post include the step by step video tutorial on how to activate your Globe nano sim on your iPhone 5 from Globe PH Youtube channel . This steps is applicable only to Globe postpaid subscribers. Continue reading below on how to activate your Globe nano sim. Make sure to back up your contacts from your current sim. To activate your new Nano Sim, simply dial 2200 using your mobile phone. Once connected, provide your 11-digit number. Note: This is needed to proceed with the activation process. Provide the Nano Sim’s 16 digit serial number that can be found at the back of your new Nano sim. Note : Please be aware that it’s normal to lose your signal coverage during the SIM activation process. When that happens, just wait for 15-30 minutes then you put your new Nano Sim on your iPhone 5. That’s it, if you may wish to proceed on how to setup you new iPhone 5 just watch this video from Globe.